City Express sales peaked at 10,283 in 2015 -- its first full year on the market. DETROIT -- General Motors has discontinued the Chevrolet City Express, a small work van which the automaker has marketed under a partnership with Nissan Motor Co. since 2014. Dealers, according to a GM spokesman, were told of plans to drop the small van last summer. Final orders were taken in September 2017 and production of the last 2018 Chevy City Express vans -- a derivative of the Nissan NV200 -- ended at Nissan's assembly plant in Cuernavac, Mexico, in February. Chevrolet's Canadian website still has a link to an overview of the 2017 vehicle, but the van has been removed from Chevy Canada's build-and-price website. A notice on the U.S. site asks potential buyers to consider other GM products for their needs. But, the automaker said it would sell all remaining Chevy City Express inventory. The GM-Nissan pact was a quick, cost-effective way for Chevrolet to enter the small-van segment, which Ford Motor Co. has dominated since essentially creating the domestic market with the Transit Connect in 2009. 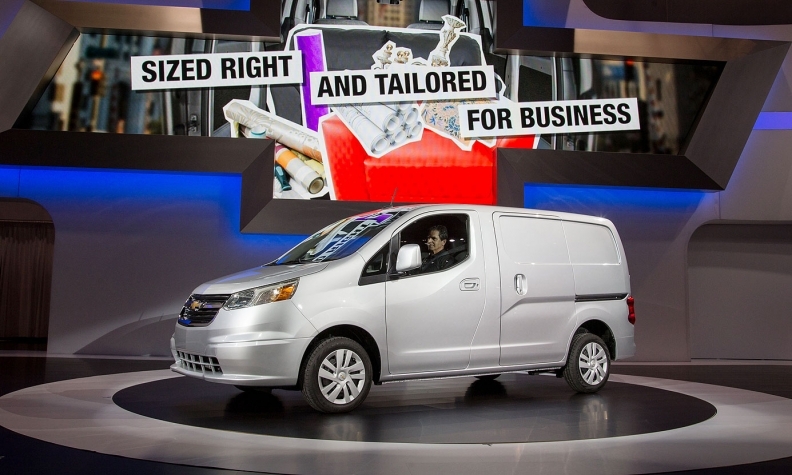 When unveiling the City Express in February 2014, Ed Peper, U.S. vice president of GM fleet and commercial sales, said the company saw "tons of opportunity" in the small commercial van market. But Chevrolet gained little traction in the emerging segment. Less than 30,000 City Express units have been sold in the U.S. since it went on sale in November 2014. That's less than one year of Ford Transit Connect sales, which have averaged more than 42,500 annually since 2013. City Express sales peaked at 10,283 in 2015 -- its first full year on the market. That same year, Ford sold more than 52,200 Transit Connects and Nissan sold more than 17,300 NV200s. Fiat Chrysler Automobiles sold more than 11,000 Ram ProMaster City vans that year -- its first year of sales. A GM spokesman declined to comment on reasons for the move or if the vehicle is expected to be replaced. The supply agreement, according to a Nissan spokeswoman, was on an annual basis. She said Nissan "remains committed to the compact van segment." Nissan controls about 25 per cent of the U.S. compact van segment, which dropped 9.5 per cent in 2017 and has shrunk another 7.1 per cent this year. The discontinuation of the small van will not impact the Chevrolet Express and GMC Savana, which remain the only major body-on-frame offerings in the full-size van segment.